Recently I cleaned out my desk (in preparation for moving to my first own study, but that’s a whole other topic!) and discovered letters my husband wrote me when we were dating. Lots of letters, with lots of pages, because (and I am revealing my age here, I know) this was before texting, emailing, or any online communication or presence at all. Rereading my husband’s letters reminded me of how I used to write letters too. Not just to my husband, but to friends during summer breaks from college, my parents when I was in school, and friends I made when I traveled through Europe. So many letters, but back then there simply wasn’t any other way of keeping in touch. I lamented to my emailing and texting children that we have lost the ability to write letters, and how sad I think that is, and got the expected eye-roll in response. But upon reflection, we’ve been losing the art of letter writing for centuries. Read a letter written a generation or two ago, and they are far more eloquent than the bits of news and trivia I wrote in my letters! 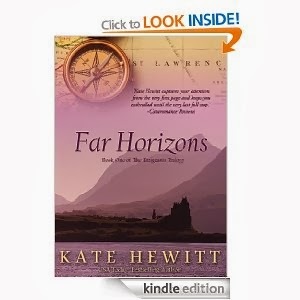 The imagined reason for Harriet’s silence is what inspired Far Horizons, and I loved incorporating the letters that have been passed down through my family into the story. 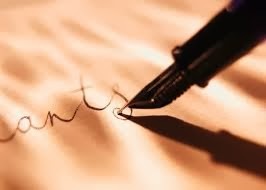 Rereading my husband’s letters to me made me resolve to write more real (ie, on paper!) letters, although I’m afraid I’ve only managed one so far. My hand cramps from writing now, because I’m not used to it! How sad is that?! Letters aside, there are many benefits to the new, technological ways we have to communicate. Having moved to England from America, I am thrilled to use email, Skype, Facebook, and other social media to keep in touch with family--but I think I will always miss the poignant beauty of a handwritten letter! What about you? Is there anything you miss in this brave, new digital age? Amazon, Barnes & Noble, Kobo, Smashwords, and Sony. I recently received a long, lovely note from a firend on pretty stationery, and it was such a pleasure! I read it several times and have saved it--maybe because indeed, it is a lost art. And BTW--how wonderful it must be to move to England! We were there for the first time last spring, and I loved every moment. I'd love to read a blog about your moving experiences, and what it's like to live there! What a beautiful post, Kate! There is nothing like opening a box of old love letters. I feel sorry for our kids if all they'll ever have to browse through to rekindle romance in their relationships is a file of archived e-mails and text messages that have never been touched by their beloved's hands nor sealed with a kiss. I agree, Roxanne, reading a 'real' letter is a pleasure. And it's been quite an adventure moving to England! Maybe I'll make that my next blog post :) Milou, I agree with you too--rereading a bunch of emails and texts is not the same, but I suppose our children will never known differently?? It's hard to remember the day when all communication was by landline and snail mail, but I recall those times too. When I studied in Spain, I had a boyfriend who left me hand-written love notes stuffed in a hidden crevice in a tall stone wall. I passed it on my way to university each day, and was always thrilled to find a missive hidden there. There really is something special about seeing words written out on paper, especially ones that are crafted with loving care. I too remember the time before digital communication and all that involves. I was never a great letter writer though. I did have a pen pal at one time, but my mother always had to crack the whip, figuratively speaking, to make me write my thank-you notes at Christmas and birthdays. I've always preferred 'making stuff up' when I put pen to paper! When I was growing up I had three pen pals. We wrote to each other for years. Later I had an incredible correspondence with my fiancé that lasted two years. A year after we married, we had to move overseas. We sat together and re-read all the letters we wrote to each other and burned them except for the last two written a week before our wedding. I still have them. I remember when my sister moved from New Zealand to England and the only contact we'd have was by letter as phone calls were hideously expensive and were saved for Christmas day! Now I have a son overseas who is a hopeless emailer and I have to remind myself, we went months not hearing from my sister and didn't worry, just because he only emails once a month, I do not need to panic and assume some drama has taken place! I remember having a pen pal in Japan as a child. I haven't heard of any email pals with my children at school. Now I only receive long chatty letters from older relatives at Christmas. I still write to my 75-year-old aunt. I do all I can to make her laugh. I don't have to try very hard because my life is pretty funny. LOL It's a shame that letter-writing has gone out of style. I loved to send and receive thank you cards and thinking of you cards. Now, all that I receive are bills. Blech.